Before going on I need to put this entry in a little bit of context. I was born into a devout ( Catholics are always devout, Protestants are always staunch) catholic family. Sadly, for my mum at least, the taig transplant didn’t take. I should make it clear I have no problem with people who practice the faith but the best way to sum up my attitude is to quote a pal of mine “I have no problem with God, but I have a huge problem with those who claim to work for him” What cannot be denied however is that Catholic Church PLC definitely knew how to build a chapel. 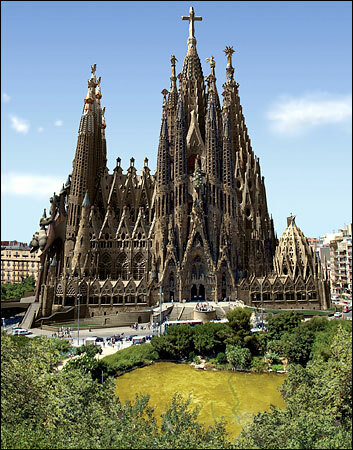 Obviously the iconic pineapple (Glasgow rhyming slang) in Barcelona is the Sagrada Famila. 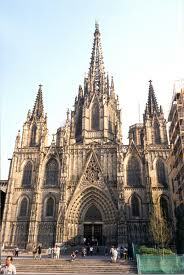 Irrespective of my own feelings there is no doubt that this is one of the “must sees” on any trip to the city. It is a testament to batshit mentalness in terms of what passes for design. The Pope recently popped in and this was one of my personal highlights of 2010, not because he came here but in the days leading up to it the sound engineer who was testing the PA system gave me the biggest laugh of the year. The choice of “Highway To Hell” by AC/DC as the tune to test the system was inspired. If you want to go inside the chapel get there early as the queues can be lengthy. As I said before as most of you will be staying in and around the Ramblas you’ll find the next one right in the heart of Barrio Gotic, as the area suggests it’s the Gothic Cathedral (This does not mean you’ll find a load of miserable teenagers,wearing black, self harming while listening to Marilyn Manson) . Even a viciously lapsed cynic like me appreciates it’s a beautiful building, if so inclined it is worth paying the entrance fee (Come on, it is a catholic church after all) to walk round it and take the trip onto the roof. 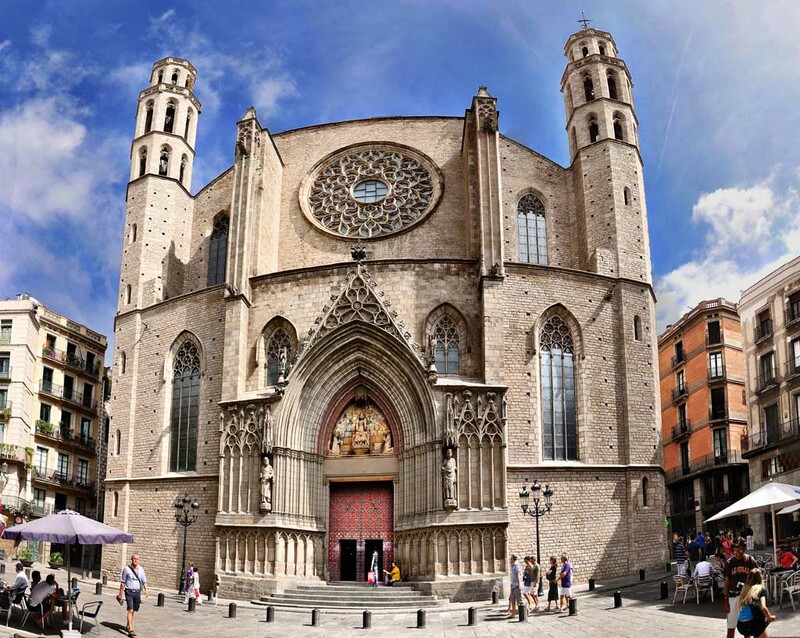 So, for those of you who love a good chapel you are spoiled for choice in Barcelona, it won’t surprise you to hear that if I had to recommend one, it would be the Santa Maria (mebbes because I’m a Scotcher the free entry helps). If anyone reading this is offended by my views in this entry I do apologise, my view on the church’s hierarchy is a personal one formed from first hand experience. 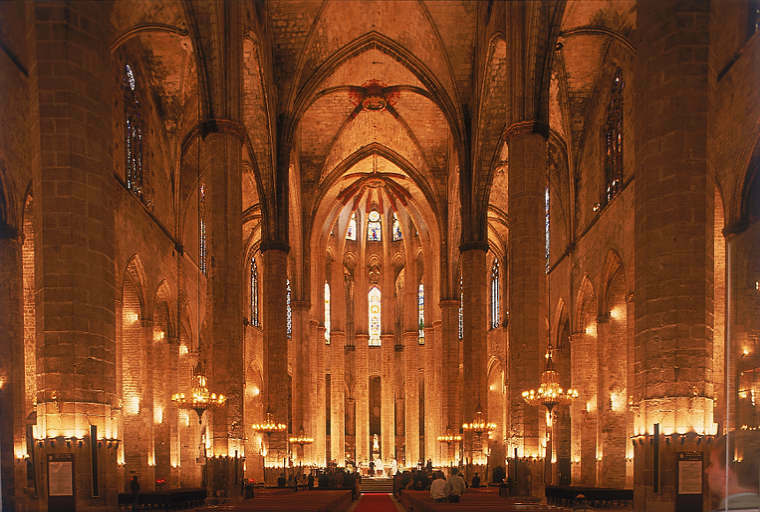 This entry was posted in Churches and chapels, Ramblas area. Bookmark the permalink.